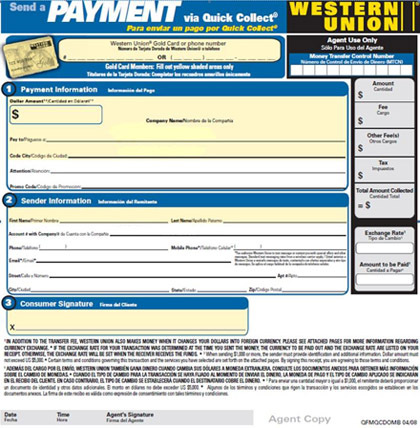 Western Union makes it easy to pay. You don’t need ID or a bank account number. Transfers happen in minutes. Ask the Western Union agent for this form. Pay the Western Union agent. He or she will give you an MTCN number. B) Call CBV at 1-866-333-4559 and tell us the MTCN number. You’re done. The payment is made.